My pastor preaches/teaches like a mini-Spurgeon every week. I leave church with much to ponder and my notebook filled with insights from his teaching. The Spirit enriches these through my own thoughts extended from further investigation. This essay is one of them. From now on I’ll call these essays sermon nuggets, because I can’t take credit totally for the insight here, it was catalyzed by my pastor, enriched by the Spirit, and emerged through further study on my own. In effect, it is a praise to how the Spirit fills us with insights, teaching, and wisdom. You hear the Word, study the word, think about the Word in your heart, and somehow it all fits in like puzzle pieces, piece by piece enlarging the scene until one glorious day, when the trumpet sounds, the picture will come clear. 1. 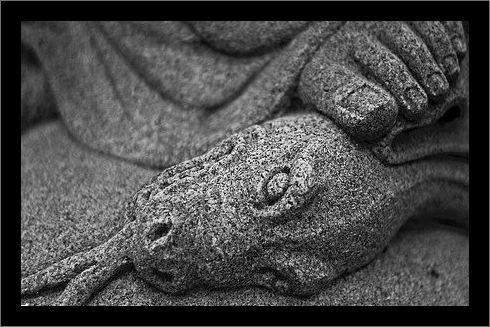 The serpent is here laid under the curse of God: Thou art cursed above all cattle. Even the creeping things, when God made them, were blessed of him (ch. 1:22), but sin turned the blessing into a curse. The serpent was more subtle than any beast of the field (v. 1), and here, cursed above every beast of the field. They shall take up serpents (Mk. 16:18), witness Paul, who was unhurt by the viper that fastened upon his hand. 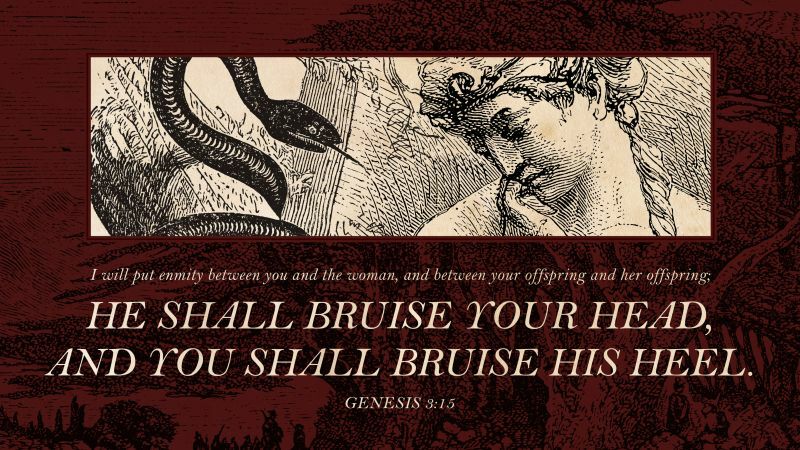 A perpetual quarrel is here commenced between the kingdom of God and the kingdom of the devil among men; war is proclaimed between the seed of the woman and the seed of the serpent. That war in heaven between Michael and the dragon began now, Rev. 12:7. It is the fruit of this enmity, that there is a continual conflict between grace and corruption in the hearts of God’s people. Satan, by their corruptions, assaults them, buffets them, sifts them, and seeks to devour them; they, by the exercise of their graces, resist him, wrestle with him, quench his fiery darts, force him to flee from them. Heaven and hell can never be reconciled, nor light and darkness; no more can Satan and a sanctified soul, for these are contrary the one to the other. That there is likewise a continual struggle between the wicked and the godly in this world. Those that love God account those their enemies that hate him, Ps. 139:21, 22. And all the rage and malice of persecutors against the people of God are the fruit of this enmity, which will continue while there is a godly man on this side heaven, and a wicked man on this side hell. Marvel not therefore if the world hate you, 1 Jn. 3:13. With that in mind, you remember that John the Baptist and Jesus both called the Pharisees serpents, broods of vipers. Jesus: You brood of vipers! How can you speak good, when you are evil? For out of the abundance of the heart the mouth speaks. (Matthew 12:34). Jesus: You serpents, you brood of vipers, how are you to escape being sentenced to hell? (Matthew 23:33). You are of your father the devil, and your will is to do your father’s desires. He was a murderer from the beginning, and does not stand in the truth, because there is no truth in him. When he lies, he speaks out of his own character, for he is a liar and the father of lies. (John 8:44). In verse 38 Jesus specifically denied that the Pharisees were Abraham’s children (children of promised ‘seed’ or offspring) and in verse 44 He says they were of the seed of the devil (children of curse, the devils ‘seed’ or ‘offspring’). His victory over Satan thereby. Satan had now trampled upon the woman, and insulted over her; but the seed of the woman should be raised up in the fulness of time to avenge her quarrel, and to trample upon him, to spoil him, to lead him captive, and to triumph over him, Col. 2:15. He shall bruise his head, that is, he shall destroy all his politics and all his powers, and give a total overthrow to his kingdom and interest. Christ baffled Satan’s temptations, rescued souls out of his hands, cast him out of the bodies of people, dispossessed the strong man armed, and divided his spoil: by his death, he gave a fatal and incurable blow to the devil’s kingdom, a wound to the head of this beast, that can never be healed. As his gospel gets ground, Satan falls (Lu. 10:18) and is bound, Rev. 20:2. By his grace, he treads Satan under his people’s feet (Rom. 16:20) and will shortly cast him into the lake of fire, Rev. 20:10. And the devil’s perpetual overthrow will be the complete and everlasting joy and glory of the chosen remnant.